This study focused on the effect of corporate entrepreneurship on organizational performance at Kenya Power and Lighting Company, Kenya. It was submitted in a fulfilment of requirements for the Award of master of degree of business Administration. A sample size of 200 respondents selected through convenient and stratified sampling. 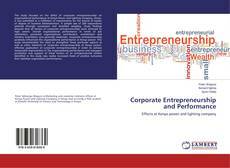 Study findings showed that all factors of corporate entrepreneurship were achieved to high extent. Overall organizational performance in terms of job satisfaction, perceived organizational contribution, commitment and memory orientation was generally moderate; corporate entrepreneurship positively influenced the organizational performance at Kenya power. 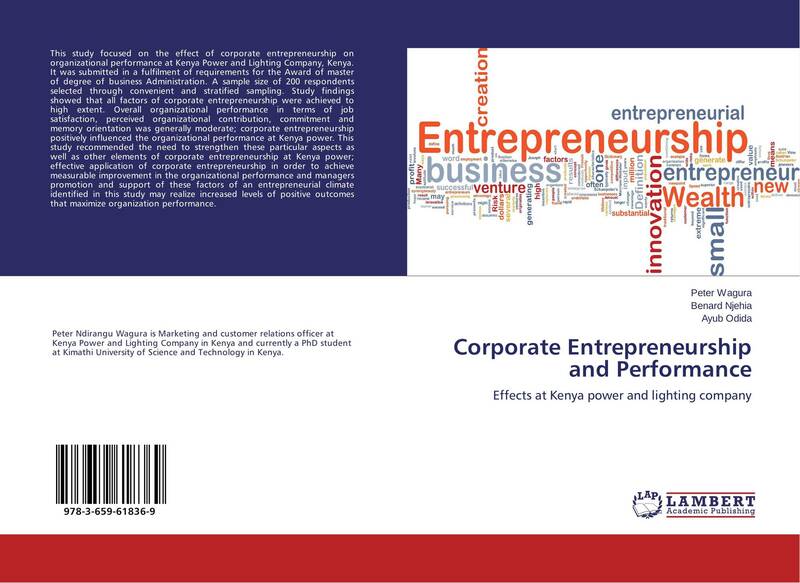 This study recommended the need to strengthen these particular aspects as well as other elements of corporate entrepreneurship at Kenya power; effective application of corporate entrepreneurship in order to achieve measurable improvement in the organizational performance and managers promotion and support of these factors of an entrepreneurial climate identified in this study may realize increased levels of positive outcomes that maximize organization performance.